One of the surprise exhibits at Southbank Centre’s Nelson Mandela Centenary Exhibition is a painting of the great leader peering through the bars of his Robben Island cell where he served 18 of his 27 long years in jail. 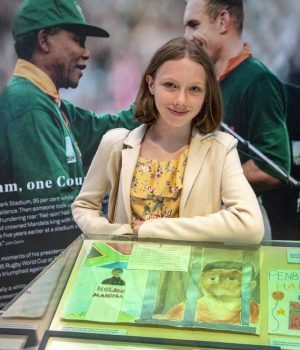 The artist, Isabella Jennings (13), was nine years old when Mandela died in December 2013. 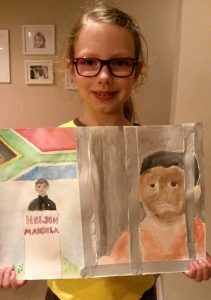 “I was inspired to do the painting because of Mandela’s life and the sacrifices he made for the good of others,” said Isabella. Isabella’s poignant artwork, which now has its own glass display case at the centenary exhibition, was an entry in a festival of music and art organised by the World Heart Beat Music Academy in London. “Humanity and peace are something precious in all of us,” said Sahana Gero, founder of World Heart Beat. 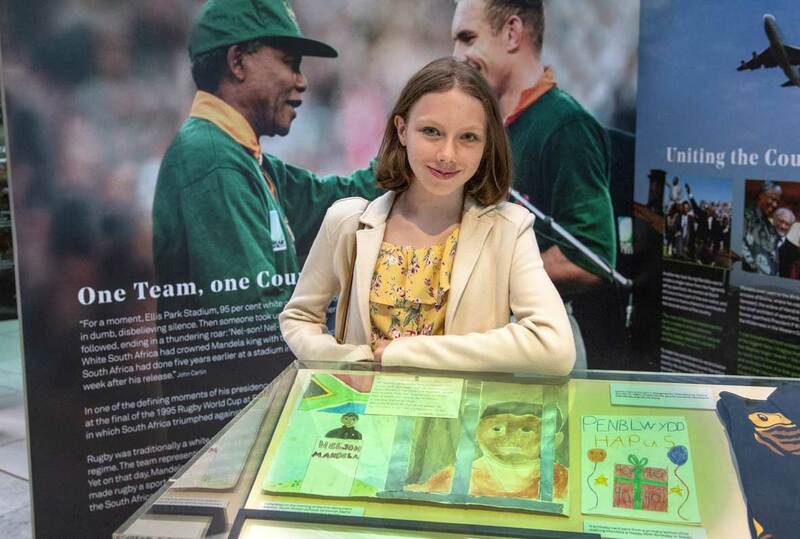 Isabella’s entry was curated and supported by the Nelson Mandela Children’s Fund UK which raises funds for various projects notably the Nelson Mandela Children’s Hospital in Johannesburg. After the completion some of the child art works were sent to South Africa but a few were kept at the London offices of the Mandela Children’s Fund UK. “I kept Isabella’s piece of art because it was really beautiful and I hoped we could put it to good use for something in the UK,” said Kathi Scott, CEO of the Mandela Children’s Fund UK. Scott, as a member of the Mandela Centenary Committee, has helped to design and curate a Children’s Trail at the exhibition which guides young people through the six stages of Mandela’s life and invites them to answer questions about what they have seen and to say in 25 words what they would do to make the world a better place. While curating the exhibition, Southbank Centre’s curator Madeleine Lynch chose Isabella’s painting as one of two child artworks to be included in the exhibition. “Thanks to Sahana of World Heart Beat we were able to track down the original painting through Isabella’s mother, Louise Jennings,” said Scott. The Mandela painting has turned out to be a key moment in the development of Isabella’s art career. She is currently the art scholar at the James Allen Girls School in Dulwich. And Mandela and his life’s achievement will remain an inspiration to Isabella as her art work and her life unfolds. 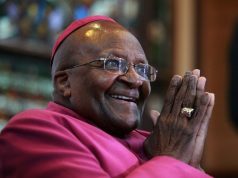 “I will always remember the example of tolerance and forgiveness Mandela showed us,” said Isabella. The Nelson Mandela Centenary Exhibition opened in Southbank Centre’s Queen Elizabeth Hall on 17th July 2018 in the presence of the Duke and Duchess of Sussex. 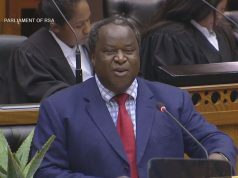 The exhibition, which runs through to 19th August 2018 along with various associated events, is jointly curated by the Apartheid Museum in South Africa, the Anti-Apartheid Movement Archives in the UK and Southbank Centre. The exhibition is free and the Children’s Trail is open to all school pupils. For more information please see the website here.